A variety of activities light the district up during the annual Tourism Festival. 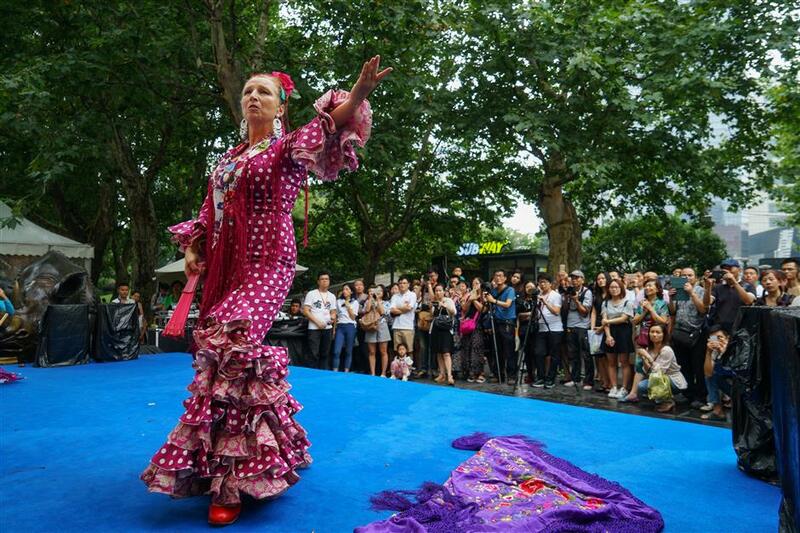 The annual Shanghai Tourism Festival is upon us and it’s a party time. 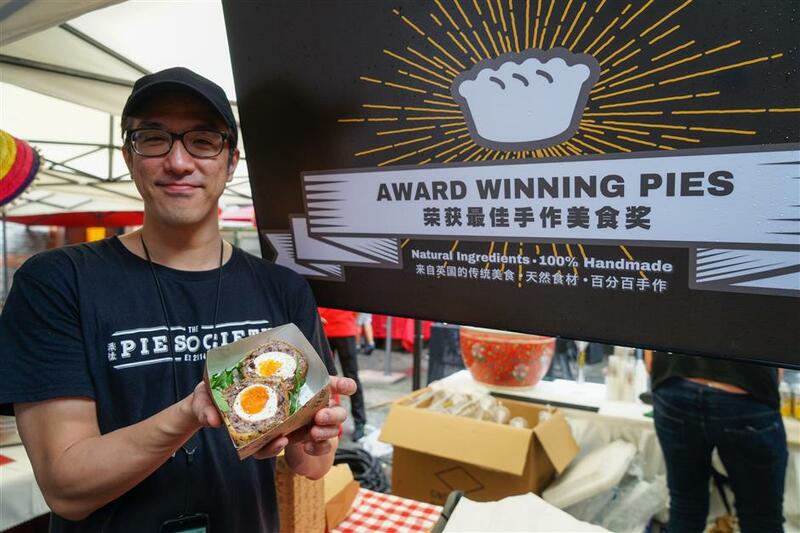 A variety of events have been arranged for the city’s biggest tourism extravaganza in September and October, including food, light, music, sports and art events. Champagne corks popped as the annual sparkling wine festival kicked off the proceedings on September 8 near Jing’an Park. Nearly 300 Old World and New World wines were displayed for free tasting. 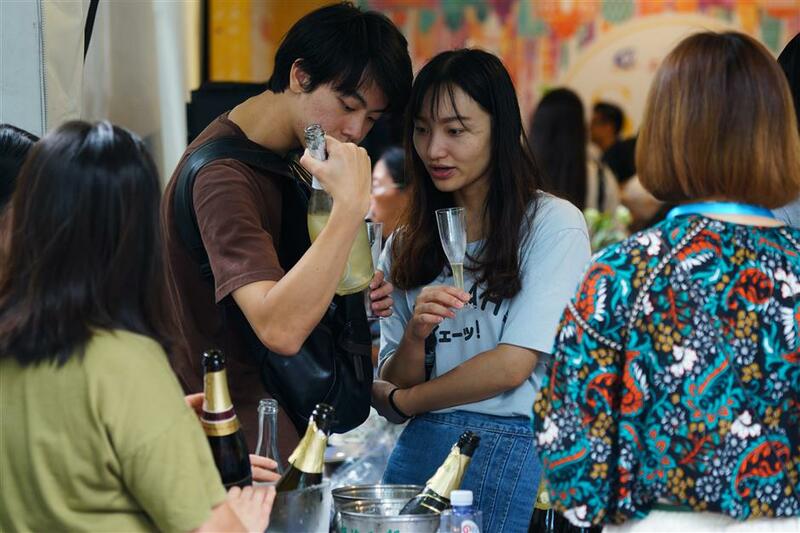 Star attractions included one of the world’s most important Cava producers, Freixenet, and products by China’s star winery Domaine, Chandon China, in northwestern China’s Ningxia Hui Autonomous Region. Thousands of visitors turned out to toast the delicious wines, all viewed by two St. Bernard dogs, specially flown in from Sweden and set in Jing’an Sculpture Park. Wine wasn’t the only thing on the menu. Delicacies from all over the world are accessible in the Zhangyuan Garden, which range from French pastries to hearty Australian steaks. Delicacies all over the wold are accessible in Zhangyuan Garden. Fancy a cup of coffee to chill out and relax? 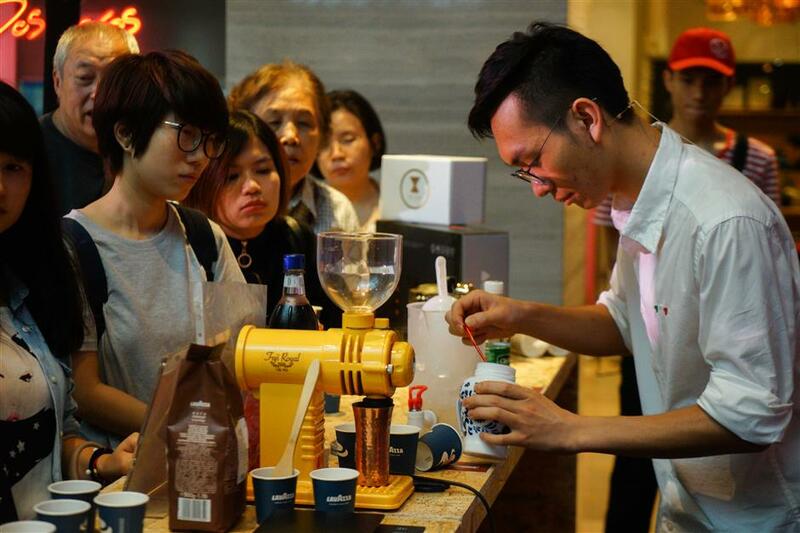 In the Jing’an Kerry Center, renowned cafes from chain stores to individual coffee shops brew their special formulas and offer free tasting to visitors. 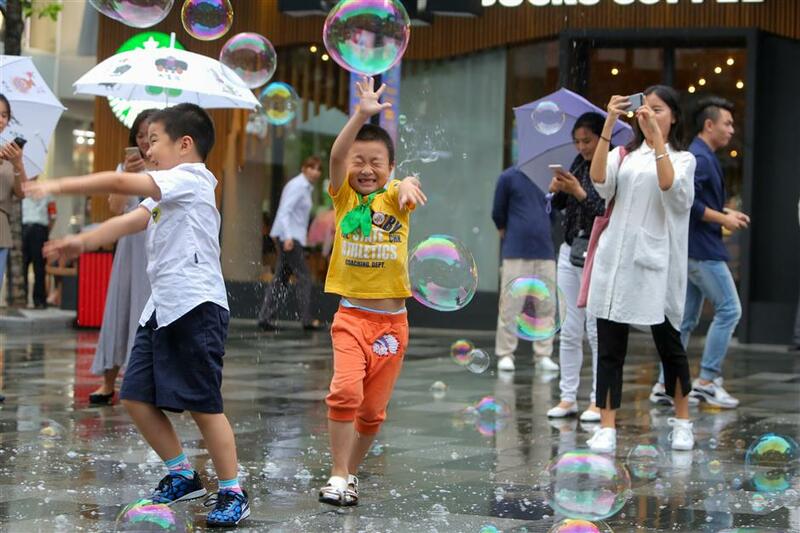 Children have fun with bubbles. 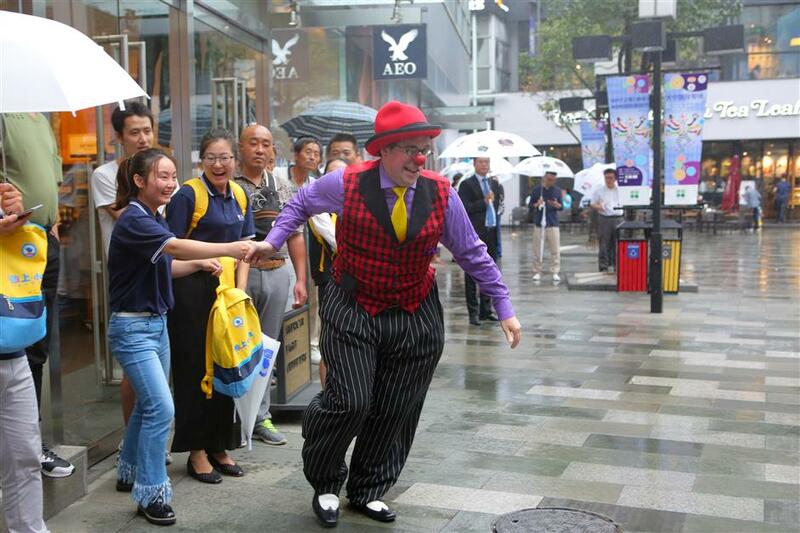 This autumn, every corner of Jing’an will be giggling, as more than 50 top comedians from 12 countries are performing, alongside magicians and other entertainers, on the roadside, in the parks, retail malls and neighborhoods. Clown invite audience to join in the show. But not only that, a popular rendezvous among youngsters, Joy City, is offering big discounts and several other DIY activities to add to the fun and frolics.